The hectic stretch of the offseason has concluded, and every NBA franchise finally take a moment to review its best decision so far. In some cases, the answer is obvious. Several marquee players — including LeBron James and DeMarcus Cousins — made their free-agent choice, and that’s easily the biggest storyline for those teams. For other squads, the best offseason move could be a draft pick or an important re-signing, a bench-bolstering addition or a cost-savvy steal on the free-agent market. Or, it might be avoiding an overpay. Since the Hawks aren’t in position to start winning games this season, they have every reason to begin stockpiling future draft picks. In a trade for Jeremy Lin, Atlanta received Brooklyn’s 2025 second-round pick and the right to swap in 2023. But that’s not the only positive that emerged from the deal; Adding him allowed the Hawks to move Dennis Schroder, who’d been plagued by off-court issues. Lin will serve as the veteran guide for Trae Young, the talented but turnover-prone guard Atlanta acquired on draft night. The market didn’t develop as Marcus Smart hoped. 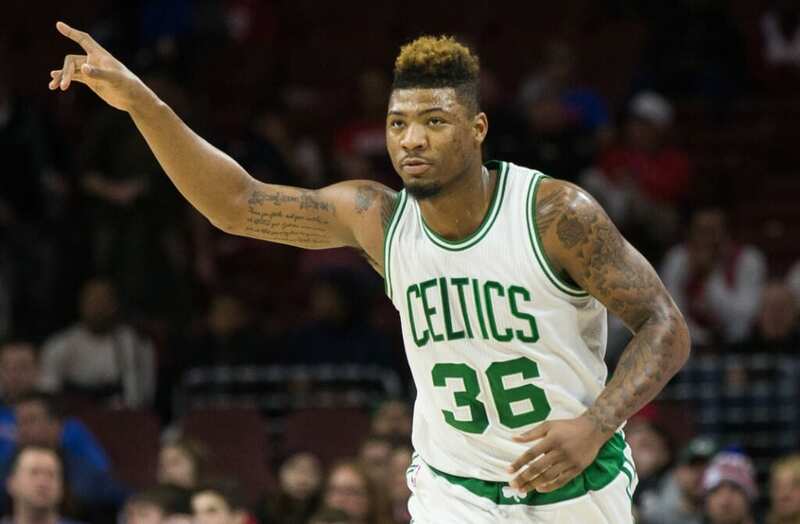 Surely there was tension as the Celtics declined to meet his number, but they remained the best option for the young guard’s career. Nineteen days after free agency opened, the sides agreed to a four-year deal worth $52 million. That’s a fair contract for both Smart and Boston, since he’s an elite defender and regular contributor on offense. His shooting efficiency has always been below-average, but the Celtics wouldn’t have easily found a replacement for the energy and passing skills he provides. Due to the disastrous trade with Boston in 2013, Brooklyn found itself losing games with no legitimate hope of improvement. Now, not only do the Nets finally own their future first-round picks, they’re adding more. Brooklyn took on the expiring contracts of Kenneth Faried and Darrell Arthur from the Denver Nuggets along with a 2019 first-round choice. The pick is protected only for spots 1-12, so the Nets will likely receive the selection soon. Brooklyn also maintained its cap flexibility to chase a big free agent next summer, so it was a brilliant move. Really, it’s been a weird offseason for Charlotte. While the trade sending Dwight Howard to Brooklyn seemed to make little sense, a subsequent deal moving Timofey Mozgov to the Orlando Magic ultimately netted the Hornets four future second-round picks. That’s not bad, though they’re still stuck with Bismack Biyombo’s salary. However, one legitimate hope for the future arrived in Miles Bridges, who’s already been clowning on teams at Summer League. The Michigan State product should immediately hold a reserve role as a rookie. 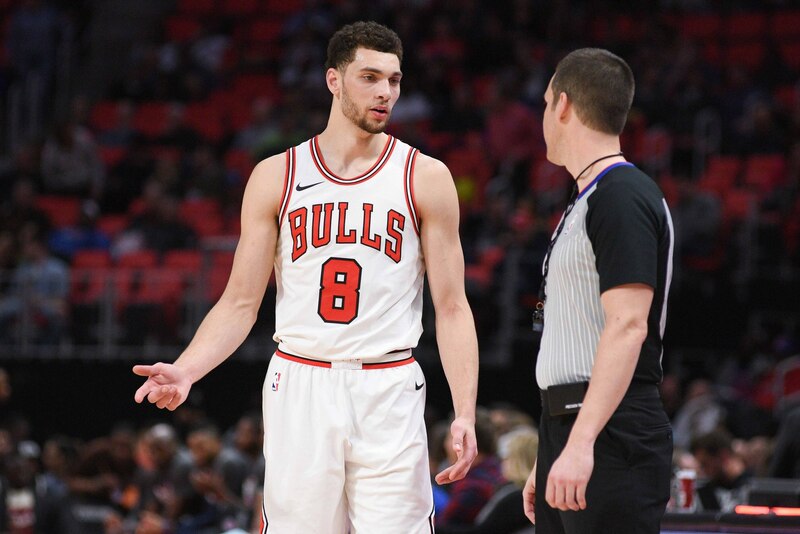 Entering the offseason, it wasn’t perfectly clear the money Zach LaVine would command as a restricted free agent. Wisely, the Bulls waited until the number came to them. Sacramento signed LaVine to an offer sheet of four years and $80 million, and Chicago quickly matched it. The springy guard expressed a little frustration with the Bulls during the negotiations, but he immediately backtracked from those leverage-aimed comments. Now recovered from the ACL injury that limited him to 24 games, LaVine will be the focal point of Chicago’s roster. Even before LeBron James officially made his decision, the Cavaliers chose Collin Sexton with the No. 8 overall pick of the 2018 draft. Regardless of what happened next — and LeBron ultimately left for Los Angeles — Cleveland had addressed a massive, glaring need at point guard. Sexton averaged 19.8 points and 3.6 assists in his lone season at Alabama, and the Cavs should feature him right away. He’ll make plenty of mistakes both as a shooter and ball-handler, but Sexton has the upside of being a cornerstone for a franchise now in flux. No matter what anyone tells you, the draft is a crapshoot. So if a front office feels a player can be a legitimate superstar, go get him — as long as the price is reasonable. That’s what the Mavericks did with Luka Doncic, sending the rights to Trae Young and a 2019 first-round pick in exchange for the Slovenian guard. And if Doncic lives up to his potential, parting with an extra draft choice will be forgotten. He’s the type of talent who could attract an established superstar in a few years, and that’s worth considerably more than any draft selection. Being able to sign Isaiah Thomas on a minimum contract was a steal. That’s a low-risk, high-upside addition to a reserve unit needing an upgrade. More importantly, though, the Nuggets didn’t waste their moment to keep a superstar in town. They agreed to a five-year, $148 million contract extension with Nikola Jokic. Denver could’ve saved a bunch of money by simply picking up his option for 2018-19, but he would’ve been an unrestricted free agent next offseason. The short-term cost was worth ensuring Jokic would be on the roster for five years. When the Toronto Raptors fired Dwane Casey — the 2017-18 Coach of the Year — the NBA world immediately knew a franchise was about to get lucky. That ended up being the Pistons, who moved on from Stan Van Gundy following an unsuccessful four-year tenure and hired Casey. He inherits a decent roster led by Blake Griffin and Andre Drummond at a franchise desperate for any success. Detroit has reached the postseason once in the last nine seasons. 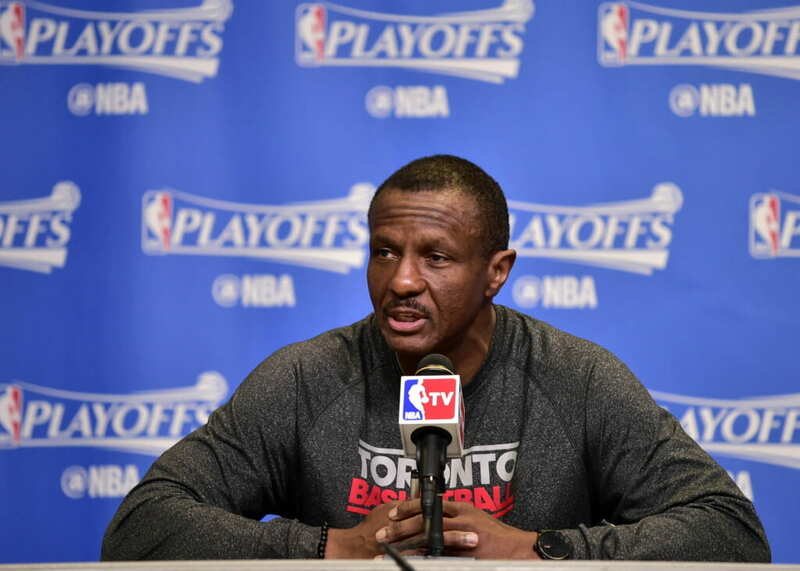 Simply reaching the playoffs will buy Casey some time (and appreciation) at his new home. The Warriors didn’t have any noteworthy cap space this offseason. They did, however, have a taxpayer mid-level exception, while DeMarcus Cousins needed an opportunity. Due to a smaller-than-hoped market, the center decided he preferred a chance to rehabilitate his playing image on a winning team. Cousins signed a one-year deal for $5.3 million, and he’ll give the Warriors — champions in three of the last four seasons — a fifth All-Star in their starting lineup. There will be an adjustment period for the Dubs, but there’s probably another ring coming, too. The brutal truth is Houston hasn’t enjoyed the offseason. 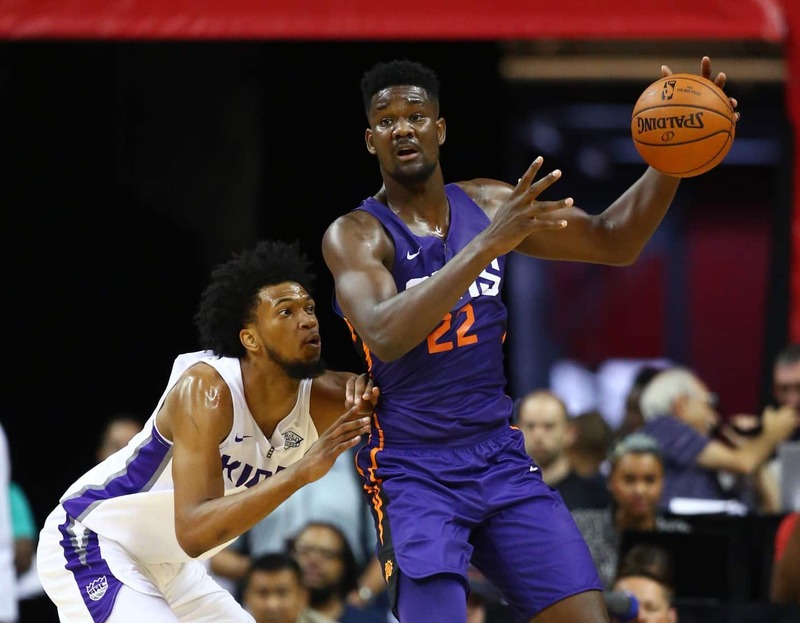 Trevor Ariza left for the Phoenix Suns, Luc Richard Mbah a Moute headed back to the Los Angeles Clippers and negotiations with Clint Capela hit a standstill. But hey, the Rockets didn’t lose Chris Paul! Rumors of tension preceded the four-year, $160 million contract he’d later sign, but that’s not something that should be a concern. The combination of CP3 and James Harden worked tremendously in 2017-18, and Houston will again be Golden State’s main threat because of them. The Pacers nearly derailed Cleveland’s pursuit of a fourth straight NBA Finals appearance, but the lack of a secondary scorer hurt when Victor Oladipo struggled. 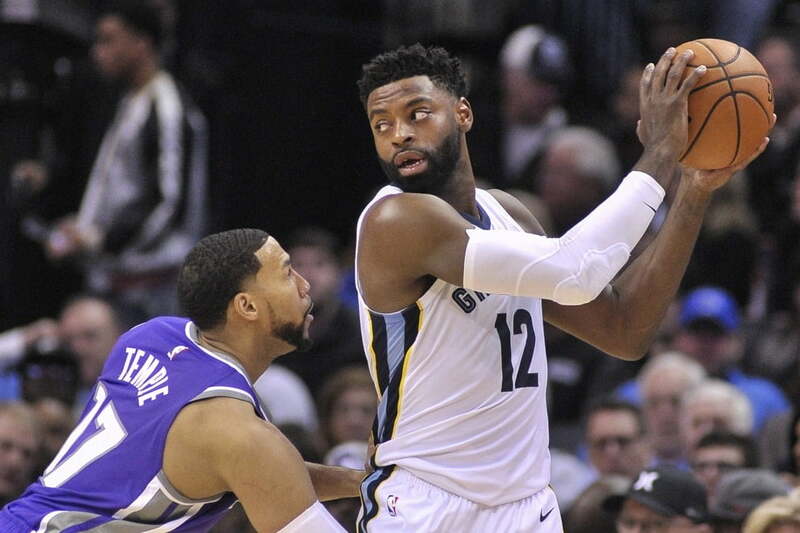 Indiana hopes to have resolved that issue with Tyreke Evans, who put together a resurgent year in 2017-18. One season after averaging 10.3 points and 3.1 assists, Evans averaged 19.4 points and 5.2 assists for the Memphis Grizzlies. Regardless of whether he’s a starter or sixth man, the veteran will provide a significant boost to Indiana’s offense. And he could be the piece that solidifies a playoff run. Avery Bradley had a rough end to 2017-18. After being acquired in the trade sending Griffin to Detroit, Bradley appeared in only six games with the Clippers. A sports hernia ended his season and sent him into unrestricted free agency on a sour note. Once it became clear L.A. couldn’t make a splashy move, the team re-signed Bradley — but protected itself in the process. He inked a two-year, $25 million pact with only $2 million guaranteed for 2019-20. If he excels, the Clippers have full control to keep him. If he struggles, they can release him. As if this could possibly be anything else. The storied franchise added the best player on the planet. LeBron James quietly announced his four-year contract with the Lakers, who are immediately positioned to snap a playoff drought. They haven’t reached the postseason since the 2012-13 campaign. James’ arrival is exactly what Los Angeles needed to propel a promising young roster that includes Brandon Ingram, Lonzo Ball and Kyle Kuzma. They won’t get as many touches, but the chance to develop alongside James will be invaluable. Not only did the Grizzlies sign a versatile piece in Kyle Anderson, they swiped him from a division foe. The UCLA product opened his career with the San Antonio Spurs, who decided not to match the hefty offer sheet during their tumultuous offseason. He joined Memphis on a four-year contract worth $37.2 million. Yes, the signing has parallels to nabbing Chandler Parsons from Houston, but Anderson’s injury history is much cleaner. And if Parsons continues to miss action regularly, Anderson can absorb all of those minutes without a problem. During an otherwise quiet summer for the Heat, they made Wayne Ellington a priority. The veteran shooting guard tallied a career-high 11.2 points per game last season while knocking down 39.2 percent of his three-point attempts. He set a single-season NBA record for most triples by a reserve. Miami rewarded him with a one-year contract for nearly $6.3 million. Ellington will reprise his role as a key contributor off the bench, and a similar season could result in another relatively large contract for the 30-year-old. Entering the offseason, this situation held considerable intrigue. 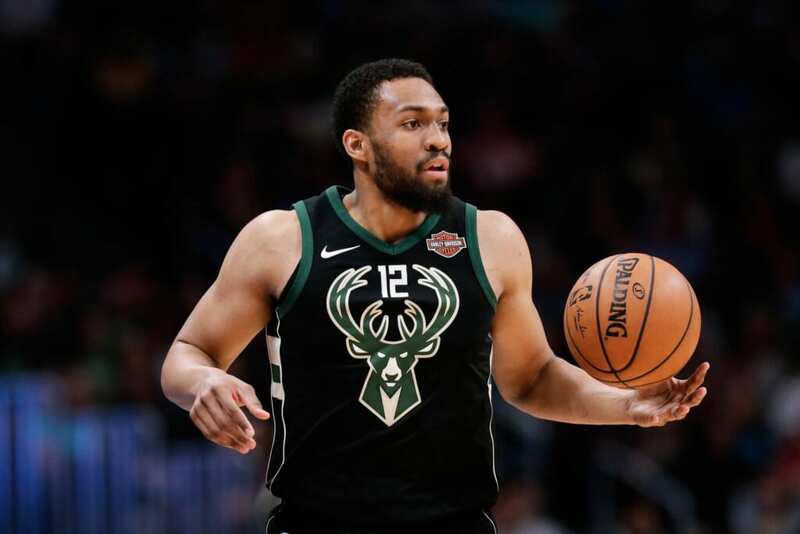 Would the Bucks really consider letting an injury-prone yet potentially elite scorer in Jabari Parker walk? Put simply, yes. Milwaukee decided the headaches (and knee injuries) weren’t worth the price, and Parker ventured to Chicago on a two-year, $40 million deal. If he was the Bucks’ cornerstone, that could’ve been a mistake. However, they’re building around Giannis Antetokounmpo. Rather than shelling out major money based on hope, they wisely prioritized future cap flexibility. Jimmy Butler apparently has no desire to remain with Minnesota into the future. Andrew Wiggins has a massive contract, but his true potential remains a concerning question. Karl-Anthony Towns, however, has proved his worth as the team leader. During only his third NBA season, the Kentucky product averaged 21.3 points and 12.3 rebounds while hitting 42.1 percent of his threes and 54.5 overall. That doesn’t mean Towns can singlehandedly propel the Wolves into the postseason, but they’ll certainly have a good chance with him leading the way. Soon after the Lakers renounced their rights to restricted free agent Julius Randle, the Pelicans swooped in. They signed the versatile forward to a two-year contract that will pay $18 million. It was a deserved raise for Randle, who averaged 16.1 points, 8.0 rebounds and 2.6 assists last season. But it was also a forward-thinking move for the Pelicans because, at that point, they surely knew DeMarcus Cousins wouldn’t be returning. Together with Nikola Mirotic, Randle gives New Orleans a terrific pair of complementary forwards to Anthony Davis. The Knicks made a couple of wise decision during the draft, grabbing Kevin Knox at No. 9 overall and Mitchell Robinson in the second round. But young talent needs a direction. 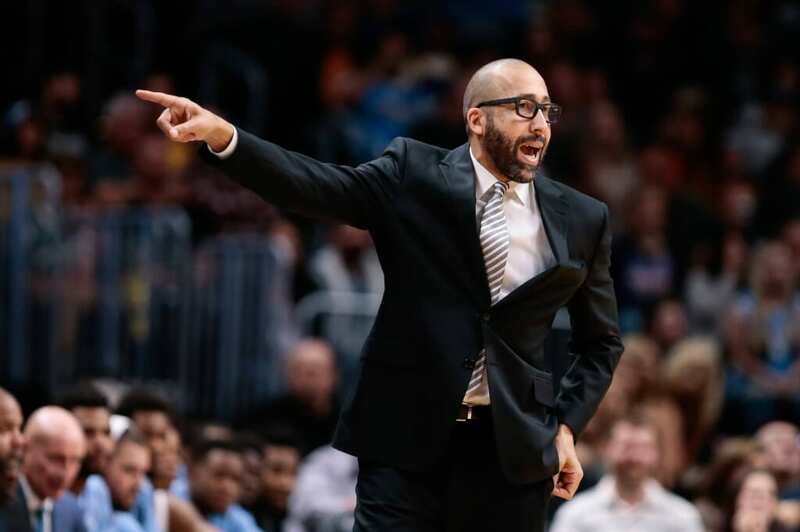 That’s something David Fizdale should provide, despite his unceremonious exit from Memphis last season. The former Heat assistant guided the Grizzlies to the postseason in 2016-17. Most importantly, he immediately went to work on repairing Kristaps Porzingis’ relationship with the team. As the Kawhi Leonard saga showed, it’s imperative the superstar is on board. Just about everyone knows the feeling of when a relationship is doomed. The Thunder recognized their time with Carmelo Anthony needed to end, and they traded him to the Hawks. The reward was two-fold, since OKC avoided a buyout and kept Carmelo’s salary entirely off the books. Additionally, the Thunder made a much-needed improvement to the bench. Yes, they accepted the potential troubles tied to Schroder, but a fresh start could benefit the point guard. Oh, and OKC re-signed Paul George. That was pretty important, too. Is Aaron Gordon worth all that money? Should the Magic have drafted Mohamed Bamba despite the froncourt logjam? Were those moves mistakes? The answer is simple: Who cares? Gordon and Bamba are the most promising pieces on a roster in desperate need of improvement. Orlando wasted no time during free agency and offered a four-year, $84 million contract to Gordon. He and Bamba represent the future of the organization. The fit could be awkward initially, but the Magic should only be concerned about adding long-term talent right now. 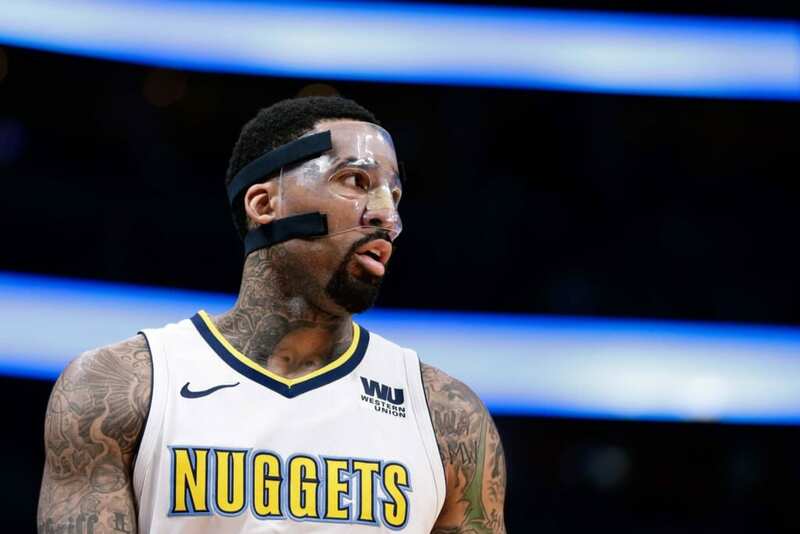 Basically, the Nuggets traded Wilson Chandler to Philadelphia for free. The Sixers acquired the veteran forward along with a future second-round pick, simply absorbing Chandler into available cap space as the return. The swap benefited both sides, as Denver avoided a massive luxury tax bill by moving an expendable piece. Plus, it’s not like Chandler is a bad player. He’s best suited as a reserve, and the 76ers needed to bolster the bench. The 31-year-old will be an important contributor on what has become an obvious playoff roster. Holding the No. 1 overall selection does not guarantee anything other than the draft pick will be intensely analyzed throughout his career. Yet no matter what happens from here, nobody can reasonably argue Phoenix made the definitively wrong choice in taking Deandre Ayton. The Arizona product has the potential of being an all-around offensive force at 7-foot-1. This level of versatility at his size is exceedingly rare. And if he improves defensively as his build improves under the watchful eye of NBA trainers, Ayton could be a perennial All-Star. Even before free agency began, the cap sheet was an unfriendly place for Portland through the 2019-20 season. That problem understandably led some to believe Jusuf Nurkic would not be retained this summer. However, no real market developed for the center, who signed a four-year, $48 million pact to remain with the Blazers. Best of all, they managed to guarantee only $4 million for the fourth season. Nurkic, who will turn 24 in August, could be a pivotal piece of the future, but Portland retained its flexibility in case that doesn’t happen. Whether the Kings should’ve taken Doncic over Marvin Bagley III is a different question. Of the moves Sacramento made this offseason, picking the Duke product at No. 2 overall stands above the rest. Bagley won ACC Player of the Year honors during his lone college season, averaging 21.0 points and 11.1 rebounds. He’ll quickly become a primary contributor for the Kings despite a jam-packed frontcourt. The Kings have a handful of players seeking minutes at the 4 and 5, but Bagley’s development should be the top priority. Without question, seeing Tony Parker in anything other than a silver-and-black NBA uniform will be strange. The future Hall of Famer spent 17 seasons in San Antonio, winning five championships and making six All-Star teams. All good things must come to an end, though. The Spurs wisely looked toward the future, hoping an unproven yet promising talent like Derrick White can replace Parker’s uninspiring minutes off the bench. 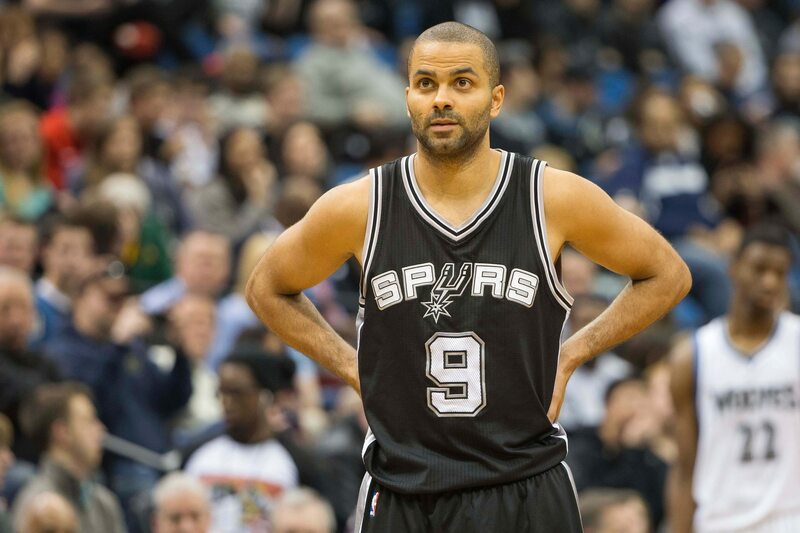 Parker, meanwhile, will be a backup in Charlotte, which hired Spurs assistant James Borrego as head coach. The risks are real. But when a front office has a chance to acquire a top-five NBA talent, it should explore every avenue. If that means parting with a franchise legend who, despite his value, has never reached the NBA Finals, do it. Toronto shipped all-time leading scorer DeMar DeRozan to the Spurs in exchange for Leonard, who will be an unrestricted free agent next summer. However, if healthy — and we recognize that’s a big caveat — Kawhi gives the Raptors a nightmarish defense and improves the efficiency of the offense significantly. Utah wasn’t going to find a major upgrade in free agency, so hanging on to Derrick Favors made sense. The sides agreed to a two-year, $36 million contract. The victory for the Jazz came in a non-guaranteed second season. Favors is a reliable starter who at 27 years old still may improve, yet he’s not an unquestioned block for the future. Utah has two seasons of control and left itself space to chase a marquee free agent next summer. Relying on continuity for progression can be risky, but it would’ve been a mistake to lose Favors with no return. Look, the locker room could be a disaster waiting to happen. But after shipping Marcin Gortat to the Clippers, Washington needed a center. The remaining options were Ian Mahinmi and Jason Smith. So, there are far worse alternatives than adding Dwight Howard, who reached a buyout with the Nets following his trade from Charlotte. Howard collected 16.6 points and 12.5 rebounds per game as a member of the Hornets last season. This probably isn’t a long-term marriage, but it’s a necessary relationship to begin the 2018-19 campaign.